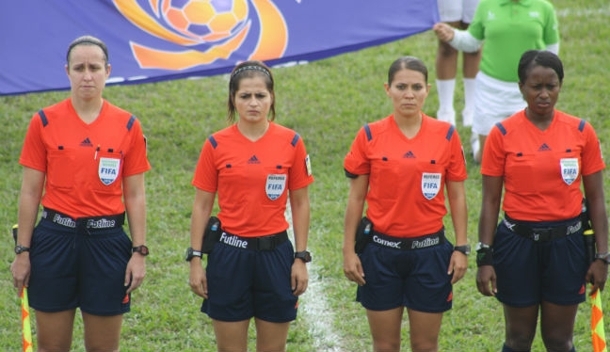 Christina Unkel has been assigned as the head referee to the final at the 2014 Central American and Caribbean Games in Veracruz, Mexico. 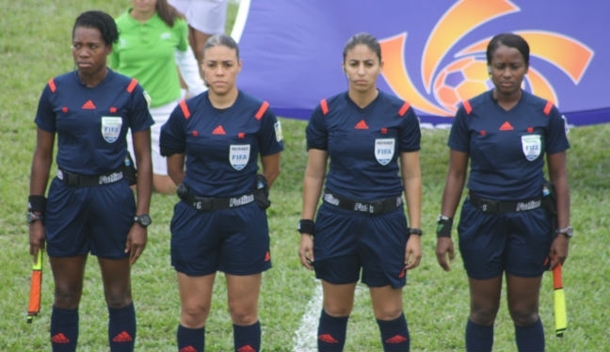 The FIFA referee was fourth official for the semifinal between Colombia and Venezuela before learning that she had been given the whistle for the final, which will be competed by hosts Mexico and Colombia on Thursday, November 27. Unkel will be assisted at Estadio Luis ‘Pirata’ Fuente by PRO colleague Amanda Ross, who is in just her first year as a FIFA official. The showpiece game will be Unkel’s first international final in only her second year on the FIFA panel, and she told proreferees.com: “For the appointment of the final by the CONCACAF staff and my CONCACAF peers and colleagues, it is an amazing honor that I don’t take lightly. “For them to entrust me in representing CONCACAF and all the working officials is a great responsibility and one that I will do my best to make them all proud in their selection. Unkel worked three games in the group stages, two as head referee and one as fourth official, before her fourth official call-up in the semifinals. Ross also had three group stage assignments as AR before running the line in the semifinal between the hosts and Costa Rica. The tournament in Mexico came after Unkel officiated at the Summer Youth Olympics in Nanjing, China, in August. In a successful year, the Florida resident views her latest appointment as her highest to date, but knows she can continue to improve. “Both Amanda [Ross] and I have been honored with several appointments throughout the tournament in Mexico and we have received positive assessments. “In addition to matches, we have received top training and education from our assessors and the lead FIFA and CONCACAF Instructor, Peter Prendergast. “This is my first international final and it will be very special to me for many different reasons. Specifically I have spent the past year working on my positioning and management and adapting to the international game. “The assignment to the final encourages me that my hard work, dedication and sacrifice I have poured into my role in representing my country and myself is moving into the right direction.